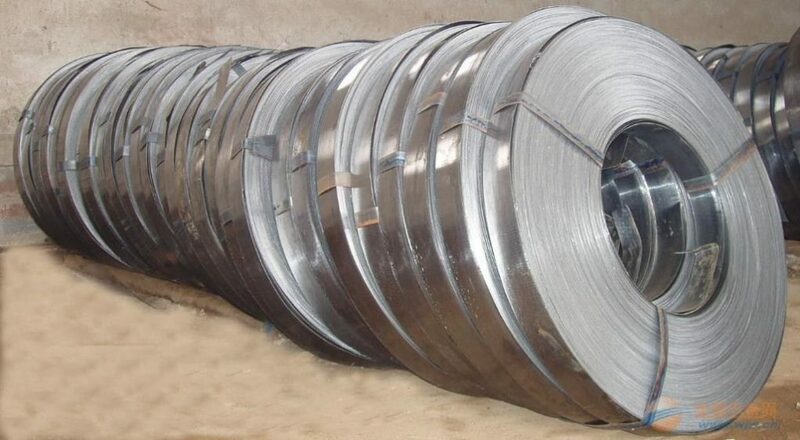 Slitting Line, as it named, slit big coil(mother coil) into small coil(son coil). BELI ® have full range slitting line for different requirements. The Slitting Line is consist of Coil Car, Decoiler, Coil entry leading and shoveling device, Coil entry crop shear, Loop pit bridge table, Guiding device, Slitting device, Scrap winder, Strips separating and tension device, Recoiler. and controlled box. The coil car is for loading the coils onto decoiler and unload the after-slitting coils from recoiler. The hydraulic coil car makes coil loading and unloading easy and safe. Hydraulic cylinder for coil car lifting and motor for coil car moving. The hydraulic decoiler ensures the smooth and fast production for the whole slitting line. We have two kinds of hydraulic decoilers. One is single mandrel decoiler which penetrates inside the coil. Another one is double-load decoiler, which hold the two sides of the coil. Single mandrel decoiler is used for slitting coil thickness less than 3mm, and double-load decoiler is for slitting coil thickness more than 3mm. The coil entry leading and shoveling device is for easily moving the coil entry to coil entry crop shear. The coil entry leading frame press down and lead the coil entry to shoveling board, shoveling board spans to reach the coil entry. This ensures the smoothly in feeding of the coil entry. When the whole slitting line machine is in operation, this device returns to its original state. In a slitting line, there are usually two loop pits. One lays before the slitting device and another lays before tension station. In the high-speed slitting line, the loop pit is a very important part. Store materials for smooth production for the whole line. At the entrance and exit of the pit, there are two bridge tables. The cantilevered design as a bridge spans the pit to aid in feed-up and pivots down into the pit during the slitting operation. Usually there are 2 pairs or 3 pairs of side guiding rollers equipped in the guiding device. Roller side guides ensure that the material is positioned correctly when it enters the slitter. Adjust the guide rollers to match thedifferent material width. Slit the coil sheet into strips. It consists of main steel base, two support stands , slitting shaft, slitting blades and hydraulic cylinders. Hydraulically pushing one stand makes replacing the slitting blades easy and quick. How to treat the slit scraps? Scrap winder is a very economical device for slit scraps. BELI® Slit has two types of scrap winder. One is winder set on sides of the conveying table. Another is set on two sides of the line. Both two types of winder can do perfect winding. Separator device include separator shaft and separator disc. It ensures the strips smoothly going into the tension station. The tension roller press tightly for perfect recoiling. Recoiler is consisted of steel base, support arm, recoiling shaft and pressing arm. This press arm shaft assembled with separator discs which hydraulically follow the material during recoiling to ensure the strips recoiling straightly. Besides of Slitting Lines, Believe Industry also have other coil process equipments: Cut To Length Lines, Blank Lines. And also series kinds of Roll Forming Machines. Contact us for more information.